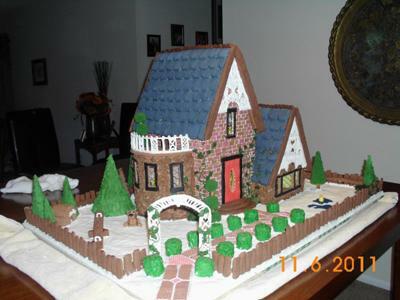 This is my 2nd Gingerbread House. Made my first one last year in memory of my Grandmother who passed. I never got around to doing one from scratch while she was alive.....I feel like now she is watching over me and helping me. It will be a yearly tradition to make one in her honor each year. Everything on and in the house except the lights and the base are completely edible.